CD8 beta antibody recognizes CD8 beta, also known as also known as the T-cell surface glycoprotein CD8 beta chain, CD8 antigen or beta polypeptide 1 (p37). Rabbit anti Human CD8 beta antibody recognizes CD8 beta, also known as the T-cell surface glycoprotein CD8 beta chain, CD8 antigen or beta polypeptide 1 (p37). The CD8 antigen is a cell surface glycoprotein found on most cytotoxic T lymphocytes that mediates efficient cell-cell interactions within the immune system. The CD8 antigen, acting as a coreceptor, and the T-cell receptor on the T lymphocyte recognize antigens displayed by an antigen presenting cell (APC) in the context of class I MHC molecules. The functional coreceptor is either a homodimer composed of two alpha chains or a heterodimer composed of one alpha and one beta chain. Both alpha and beta chains share significant homology to immunoglobulin variable light chains. CD8B encodes the CD8 beta chain isoforms. Multiple alternatively spliced transcript variants encoding distinct membrane associated or secreted isoforms have been described. A pseudogene, also located on chromosome 2, has been identified (provided by RefSeq, May 2010). 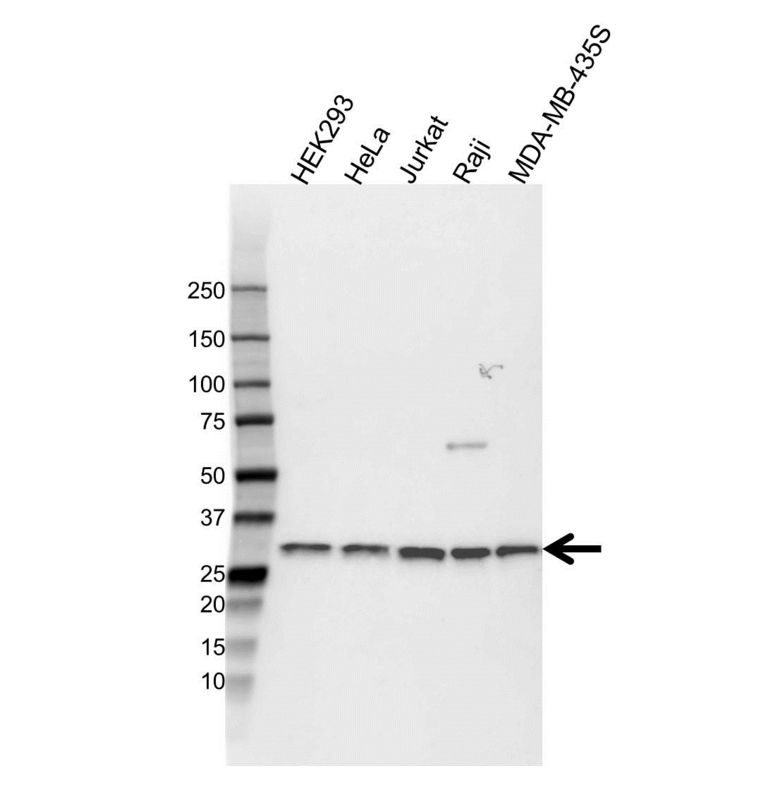 Rabbit anti Human CD8 beta antibody detects a band of 28 kDa. The antibody has been extensively validated for western blotting using whole cell lysates.